For patients who suffer from low back pain due to sciatic issues, lumbar microdecompression may be recommended. Sciatic issues may be related to lumbar stenosis, which is growing bone and thickening cartilage that puts pressure on the sciatic nerve; or by a herniated or damaged disc in the low back, which also will put pressure on the sciatic nerve. This pressure can cause pain that travels down the low back, into the buttocks, and down the leg. 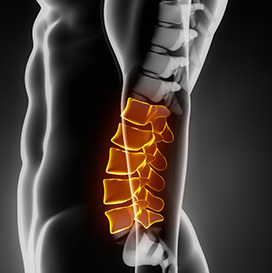 This procedure involves the removal of the disc material and usually a small amount of spinal bone to relieve pressure over the nerve and allow for space to heal. Lumbar microdecompression is considered minimally invasive and is usually performed as an outpatient procedure without a required hospital stay. Patients usually experience relief of their symptoms following the procedure and generally are able to return to normal activities and athletic lifestyles. What are my physical limitations immediately post? Is using narcotics for pain management an indication that a patient should see you? If a disc herniation recurs, what are my options? How do you know if back pain is severe enough for back surgery? How can I improve my recovery? Describe the Lumbar Microdecompression procedure.